The public will have a chance to weigh in on a temporary debris handling facility for the Camp Fire in Oroville this evening. An environmental assessment from the Army Corps of Engineers was released last week for using the former Koppers Wood Treatment Plant. That site is being considered by FEMA as a temporary non-hazardous debris sorting location where concrete, masonry, and metal materials will be processed. The over 200 acre site is reported to be zoned for heavy industrial and commercial use. The public meeting is an opportunity to hear from state and federal officials about the proposed facility and to ask questions. The meeting takes place at the State Theater on Mayers Street in Oroville tonight at 6 PM. The Paradise Irrigation District advises bottled water for residents of the ridge. PID officials said Thursday that water samples have been taken to a state certified laboratory to be tested by for possible contaminants. Officials say the tests can take up to two weeks to receive results. According to a press release from the Paradise Irrigation District, until those results come back the PID is asking residents to drink bottled water and not to drink the tap water. They say to use the bottled water for all drinking, food preparation, making ice, and for brushing teeth. Officials say because of the nature of the potential water contamination, boiling or disinfecting the water will not make it safe to drink. They also ask customers to promptly report any noticeable odors in the water to call, 877-4971. Chico Police are asking your help in locating a missing person. 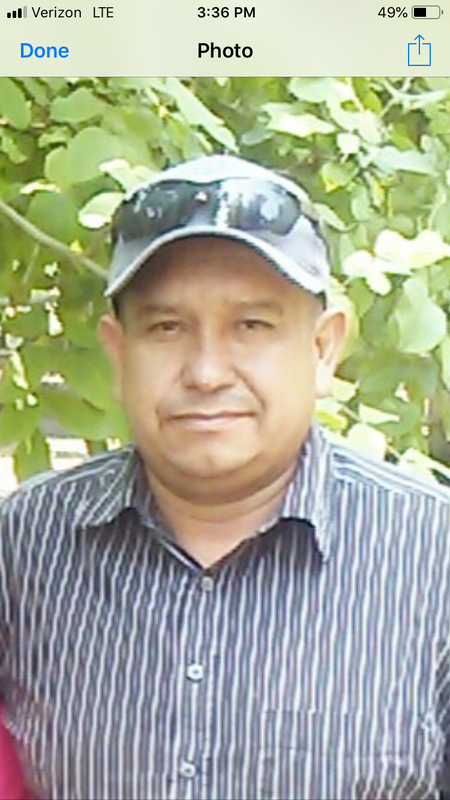 The family of 44-year-old Jose Juan Hernandez-Campos reported that they had not seen or heard from him since Saturday. According to a Chico Police Department press release, Hernandez-Campos did not arrive to work that morning. His family said this is unusual behavior for him. Police say at this time, there are no indications that anything criminal has occurred. Anyone with information on the whereabouts of Hernandez-Campos is asked to call the Chico Police Department at 897-4911. 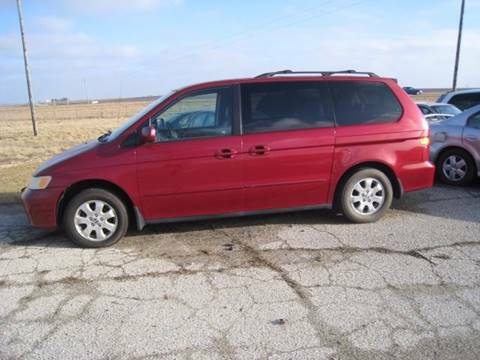 Below is a photo of Jose Juan Hernandez-Campos and a photo of his Honda Odyssey mini-van. Chico Police are searching for a suspect in an armed robbery. Officers arrived to the Mi Taquito Grill at the intersection of West Shasta Avenue and the Esplanade around 8 Wednesday night after reports of an armed robbery. Officers learned that a man entered the side door of the trailer and allegedly pointed a firearm at employees, demanding money. According to a Chico Police Department press release, customers told officers that they spotted the suspect who they described as a tall, thin, white male in dark clothing running from the business and removing a face mask. Anyone with information is asked to contact the Chico Police Department at 897-4900. Yuba City, CA - Valley Truck and Tractor Company (VTTCO) has joined with the Colusa Casino to donate $12,145.00 the Sierra Central Credit Union/TLK Foundation/ Camp Fire Relief Fund. The fund has been established to provide aid to the victims of the Camp Fire and 100% of the donations received will go to the victims. VTTCO holds an annual Christmas Party for its employees and this year’s party was to be held at Colusa Casino Resort. The party is held every year for its employees and their families as a thank you for their hard work, dedication and support throughout the year. VTTCO management was considering cancelling this year’s party and instead commit the funds to the Camp Fire victims. 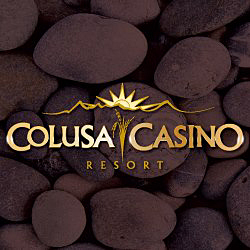 Discussions were held with Colusa Casino Resort management regarding cancelling the event and it was then that Colusa Casino stepped up and offered to participate in the donation and still provide the opportunity for VTTCO to hold the party for its employees. “Over the years, Colusa Casino Resort has been honored to have the good people of Valley Truck and Tractor as our guests. In these times of thanks and sharing, it's wonderful now to join Valley Truck and Tractor as partners in generosity and caring for our community with over $12,000 being directed towards where the folks in our area need it most.” Beau Gonzales, Assistant General Manager, Colusa Casino Resort. A man is arrested after a hit and run, in Chico, involving a pedestrian. The collision was reported on the Esplanade near 9th Avenue after 10 Tuesday night. Witnesses reportedly followed the suspected vehicle after it failed to stop. They caught up with the driver, identified as Skylar Rossy at the Dutch Bros near West 8th Avenue where they alerted to him to the collision. Rossy then allegedly left the area. According to a Chico Police Department press release, officers later found Rossy and he was arrested. The victim was taken to the hospital for minor injuries. PG&E is anticipating being able to restore power to nearly all of the area impacted by the Camp Fire, in Butte County, by the end of this month for those customers who are able to receive electric service. Paul Moreno from PG&E also says that beginning this month and continuing through the first quarter of 2019, gas service will be restored to those who can receive it. Several Chico businesses and government agencies received bomb threats Thursday. Chico Police say the threats appeared to be part of a robo-email campaign that spanned across the country on Thursday. The emails reportedly informed the targeted locations that there was a bomb on the premises and demanded ransom via crypto currency. The FBI, and its local office, are reported to be aware of this incident and are currently investigating as well. Police stated in a press release that at this time, there is no credible threat to the Chico locations that received the emails. However, authorities are asking the public to always remain vigilant and report suspicious activity. The discovery of a Butane Honey Oil Lab in the town of Cohasset leads to an arrest. The lab was found by agents from the Butte County Sheriff's Special Enforcement Unit with the assistance of the Butte Interagency Noarcotics Task Force at a home on the 10 thousand block of Cohasset Road after 7:30 Thursday morning after serving a search warrant. Detectives also located several firearms along with two and half ounces of methamphetamine and a small amount of Butane Honey Oil. According to a Butte County Sheriff's Office press release, 55-year-old Lee Fox and 52-year-old Lynette Kimmel were also located at the residence. Fox was arrested for numerous drug and firearms charges. Kimmel was found with a small amount of meth and drug paraphernalia. She was cited and released. The Butte County Sheriff's Office is reporting the number of missing is still at 3 and the number of dead is at 86. 53 of the remains found have been positively identified. One of those remains recently identified was 99-year-old Rose Farrell of Paradise. Property owners are urged to attend two community meetings tonight about Debris Removal. One is at the State Theater in Oroville at 1489 Myers Street and the other is at the Spring Valley School at 2771 Pentz Road. That one is sponsored by the Yankee Hill Fire Safe Council. Both meetings begin at 6:30 PM. The Butte County Sheriff's Office is reporting that while no remains were found Tuesday the fatality count has increased from 85 to 86. That's due to 80-year-old Larry Smith of Paradise being added to the list after he died recently at UC Davis Burn Center. This after he received burns while attempting to put out a fire that had engulfed his car during the Camp Fire incident. The sheriff's office also reported that the number of missing persons is at 3. A vehicle roll over on southbound Highway 99 in south Chico this morning leaves one person injured. A vehicle collision between a Toyota Rav4 and Toyota Corolla caused the Corolla to rollover on to its roof after 7:30 between East 20th Street and Skyway. One minor injury from the crash was reported by Chico Fire. The Butte County Sheriff's Office is reporting that the number of missing from the Camp Fire is at 3 people. The number of accounted for is at 3,266. Authorities say the fatality count stands at 85 -- of those remains 50 have been positively identified. PG&E officials say they are implementing additional wildfire prevention and safety efforts. PG&E announced Monday that it plans to inspect 5,500 miles of transmission lines along with other safety precautions intended to further reduce wildfire threats. The utility is also appointing Aaron Johnson, currently vice president of Electric Operations, as the company's Rebuilding Officer. He will oversee the longer-term rebuilding efforts in the fire-impacted area in Butte County. According to the Butte County Wildfire Recovery Joint Information Center, the scheduled traffic control dates are subject to changes based on progress of the repair work. REDDING, Calif. (AP) — A new study says a rare fire tornado that raged during the deadly fire this summer in Northern California was created by a combination of scorching weather, erratic winds and an ice-topped cloud that towered miles into the atmosphere. The study in the Geophysical Research Letters journal used satellite and radar data to suggest how a monstrous "firenado" the size of three football fields developed on July 26. The churning funnel of smoke and flame killed a firefighter. The study, published last month and announced Wednesday, says a key factor was an ice-topped cloud generated by the fire itself. That cloud stretched the air column and helped create swirling, tornado-strength winds. The Carr Fire claimed eight lives and more than 1,000 homes in the Redding area north of San Francisco. A threatening social media post puts one Hamilton City teen behind bars. The Glenn County Sheriff's Office received a report from the Bureau of Alcohol, Tobacco, Firearms and Explosives Tuesday about a threatening social media post made this past summer by a 16-year-old Hamilton City student that was recently discovered. Various Glenn County law enforcement agencies searched the juvenile's residence and located multiple air soft firearms, knives and a small sword, but authorities say no real firearms were found. The teen was booked into Juvenile Hall for threats. The Butte County Sheriff's Office is reporting that the number of missing persons is now at 10. The number of accounted for individuals is currently at 3,271. The number of fatalities is at 85 with 46 of those that have been positively identified. There are New Operating Hours at Disaster Recovery Centers. Starting this Sunday, the Disaster Recovery Centers in Chico and Oroville will be Open Monday through Saturday from 9 am to 6 pm and closed on Sundays. The recovery centers will still have representatives from local, state, and Federal agencies along with community organizations who will be available to answer questions about disaster assistance. The old Sears building at the Chico Mall on East 20th Street and in Oroville at 2140 Feather River Blvd. Officials also say that the Disaster Recovery Centers in Chico and Oroville will be closed on December 25th and January 1st. the South Pines Zone will be reopened at 10 am this morning. According to the press release, all roads and areas inside of South Pines Zone will be open to residents. ONLY residents in the South Pines Zone will be able to access their properties from Pentz Rd. Pentz Rd will open to the public and non-residents at 10:00 AM tomorrow. 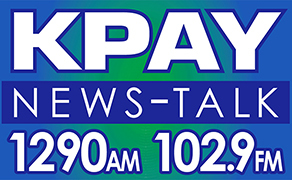 Meanwhile,all other Magalia Zones will need to access their properties by using Skyway Rd from Butte Meadows until 10 am Tomorrow. The Butte County Sheriff's Office and the Town of Paradise has announced that as of 10:00 this morning the evacuation orders in the following zones located within the Town of Paradise will be lifted to residents and property owners. Access for the first 24 hours, after the evacuation orders are lifted, will be restricted to only residents and property owners. Officials say residents will be required to show identification or proof of residency to access these areas. The restrictions for non-residents will be lifted tomorrow (Thursday). Zone 3 - Pentz Road south of the intersection of Pentz Road/Skyway to the intersection of Pentz Road/Bille Road and all of the associated peripheral roadways feeding off this northern section of Pentz Road. Zone 8 - Pentz Road south of the Pentz Road/Bille Road intersection to the Pentz Road/Pearson Road intersection and all of the associated peripheral roadways feeding off this central section of Pentz Road. Zone 14 - Pentz Road south of the intersection of Pentz Road/Pearson Road to the southern town limits just south of Malibu Drive. The Tehama County Sheriff's Office received a call from 63-year-old Gina Bird after 6:30 Sunday morning reporting that her son, Steven Irvine, Jr. had allegedly been randomly shooting a firearm around her residence in Campbellsville. Bird and her husband reportedly fled the residence in their car after Irvine reportedly started to shoot at them. Deputies met the couple at the Cohasset Store where they found bullet holes in their vehicle. Authorities say the two were unharmed. The couple told authorities that Irvine had allegedly been drinking all night and using either cocaine or methamphetamine. The SWAT Team arrived to the property and Irvine was found in the bathroom and arrested without incident. According to a Tehama County Sheriff's Office press release, he was charged with attempted murder, shooting in a gross negligent manner, and criminal threats. During a search of the residence deputies reportedly found 26 firearms and several high capacity magazines. Detectives are still going over the evidence, but the sheriff's office is anticipating filing additional charges with the Tehama County District Attorney's Office. Chico Police Detectives conducted a traffic stop on a vehicle driven by 20-year-old Jeromy Waybright as he was leaving his residence after 8:30 Monday morning. This after officers received information that Waybright, an employee of Jon and Bon's on Mangrove, was a possible the suspect. As Waybright was being detained detectives reportedly discovered a handgun in the vehicle which was reported stolen during a residential burglary in Chico. According to a Chico Police Department press release, detectives also found further evidence in his vehicle and at his residence allegedly linking Waybright to the robbery. A meeting for Camp Fire survivors is set for tonight at 6:30 at the Southside Community Center in Oroville. The meeting is expected to feature officials from Butte County and the Town of Paradise and other agencies to update people on recovery efforts. That meeting begins 6:30 at the Southside Community Center on Lower Wyandotte Road in Oroville. The Butte County Sheriff's Office is reporting that the Concow B Zone evacuation order will be reduced to a warning today. Beginning at 9 am this morning all roads in that zone will be open to residents in order to access their properties. The Sheriff's Office says residents will have to show identification or proof of residency. Authorities are saying that services are very limited in the area and that residents are encouraged to have enough food, water, and fuel for their vehicles. 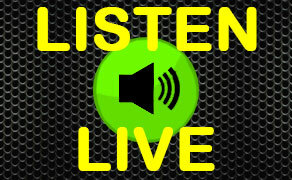 At 9 am Wednesday the zone will be open to non-residents. Butte County officials are advising Paradise residents and business owners to begin preparations prior to re-entry. The Butte County Sheriff's Office and Paradise Police Department are establishing an orderly re-entry process controlled by entry points to ensure that only residents and property owners are allowed initial access. Multiple local, state, and federal agencies, contractors, and utility providers are also are working to reduce risks for home and business owners when they return to their property. Evacuation orders for various Concow area Zones have been lifted. The evacuation orders were lifted for the following Zones at Noon Sunday for residents only. Residents will need to show identification or proof of residency to access these areas. All roads will be open in that zone except for north on Jordan Hill Road from Granite Ridge Road as well as northbound on Concow Road at Crain Ridge Road. All roads will be open in that zone except for Rim Road northbound at Crain Ridge Road. Residents can access their properties in the Yankee Hill Zone by Highway 70 and Concow Road. Residents are advised not to use generators to power structures due to the potential back feeding of electrical lines. Restrictions for non-residents in these zones will be lifted at Noon today. According to the Sheriff's Office, Concow B Zone is still under an evacuation order. Evacuation orders for various Magalia area Zones have been lifted. The evacuation orders were lifted for the following Zones at Noon Sunday for residents only. Residents will need to show identification or proof of residency to access these areas. All roads in those zones will be open to residents only until noon today then, at that time, the restrictions for non-residents in those zones will be lifted. Residents can access their properties in these Zones by using the Skyway from Butte Meadows. No traffic will be allowed into the Town of Paradise. Pentz Road will be closed southbound at the intersection of the Skyway and Lower Old Skyway Road. The Skyway will also remain closed to westbound traffic at Pentz Road. A man is arrested after attempting to run over a pedestrian. A witness reported to Chico Police around 1 Saturday morning that a driver of Chevy Silverado pickup had allegedly struck his vehicle and six other parked vehicles in a subdivision of West Eaton Road. Police say the driver of the suspected vehicle then turned toward the victim and allegedly drove towards him. The victim was able to get out of the way and was not harmed. A CHP officer later located the vehicle abandoned behind a restaurant on the Esplanade. Officers searched the area and found the suspsect running toward the PDQ Market on Eaton Road and the Esplanade. According to a Chico Police Department press release, the suspect, identified as 48-year-old James Rose was arrested for attempted assault with a deadly weapon, hit-and-run, and D-U-I. Anyone with information related to this incident or anyone who may have incurred damage as a result of Rose's actions, are being asked to call the Chico Police Department at 897-4910.